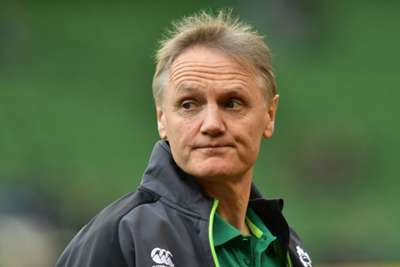 Joe Schmidt has confirmed his intention to step away from rugby after next year's World Cup, but he admits he could return to coaching further down the line. The 53-year-old has guided Ireland to three Six Nations titles - including a Grand Slam in 2018 - but revealed last month that he will "prioritise family commitments" when he stands down as the country's head coach in late 2019. Yet with Steve Hansen set to announce his All Blacks future, Schmidt would not entirely close the door on leading his home nation in the future. It was reported this week that Schmidt had turned down the opportunity to coach New Zealand last year and he discussed that decision as he collected Ireland's Manager of the Year award on Friday. "I would say it is difficult not to stay where I am," he said. "It's difficult not to keep doing what I am doing with a fantastic group of people. "Whatever decision you make, you never say never. But you are always trying to do the best you can in a very short term you have left. For me, that's 11 months. I'm not looking any further forward than that." The All Blacks have won the last two World Cups, but they were beaten by Schmidt's Ireland for a second time in November.